This past week you saw a new wrinkle unfold in the expanding trade war, as a new currency war began. Some of the brightest minds in the foreign exchange market have warned that this is happening even as you read this. It started on Friday when American President Donald Trump went on Twitter and warned that both China and the European Union are manipulating their own currencies and keeping their interest rates artificially low. It reminds you why gold makes sense in an IRA. Currency wars are only the latest threat to your investment and retirement portfolios. Gold is the world's most legendary and long-running safe haven asset that can protect you in uncertain and dangerous financial and geopolitical times like these. 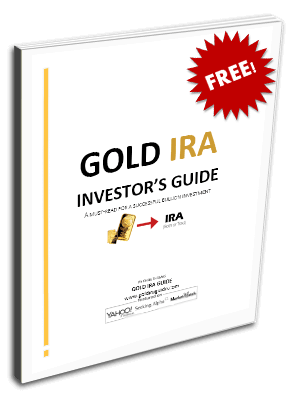 You should start looking at Gold IRA rules and regulations now and think about the top offshore storage locations for your IRA-approved gold before the situation deteriorates any further. The U.S. President called out both China and the European Union starting on Thursday and again on Friday for engaging in currency manipulation. He accused them of artificially keeping them too low versus the U.S. dollar. The President issued such comments only after the Chinese yuan cratered over 6.80 for one dollar. This was the first time it had happened for a year. The Chinese central bank demonstrated very little interest in intervening to arrest their currency slide. The importance of this brewing currency war can not be overstated. China and the United States are the two largest global economies, and this new front in the trade war is becoming increasingly hostile. The consequences of a break down in at least somewhat harmonious relations could be severe and spread throughout the world financial and currency markets fast. It is all the more dangerous because China already has a recent history of devaluing its own currency when they feel the need to do so. China surprise devalued the yuan during the year 2015. This gives us a hint of what such currency war contagion can morph into if it spirals out of control, per Chief Economist Robin Brooks of the Institute of International Finance (and prior lead currency strategist of leading investment bank Goldman Sachs Group). He sees collapsing oil prices and values of risky assets resulting from rising fears about global growth prospects. The dollar index was certainly moving lower. It had declined over one percent (by the weekend) since the first comments from President Trump. The value of your retirement portfolio is measured in U.S. dollars, a fact that you can easily forget as you watch your investments. The good news is that gold does not suffer from currency manipulation. It is a finite natural resource that is quickly running out. Only a few weeks ago, a number of prominent gold analysts declared that we have already passed or reached Peak Gold. This means that there will be less gold discovered, mined, refined, and available every year on average going forward than there was in the recent past. There simply are not enough IRA-approved precious metals to go around. Consider yourself warned, and buy some now while you still can.